Thanks to Mike and Cheryl Smith, today there are Ales for ALS™ participating brewers in nearly every state in the US. These are members of Cheryl Hanses’ family who she knows passed of ALS or are currently battling the disease. Look at it this way: Cheryl has twenty-five cousins in her generation; all but 3 of them have lost a parent to ALS. Cheryl’s grandfather passed in 1957. When her father was diagnosed in 1987, she learned that her family was part of the 10% of all ALS cases that had a familial form (TDP43) of the disease. Since then, one by one, Cheryl’s uncles and aunts learned that their fate had been decided for them, too. And ALS took them all too soon. Cheryl, her siblings and their cousins were in their twenties and thirties when it was clear that ALS had uninvitingly joined their family. It was the 1980’s. The cousins assumed that by the time they were their parents’ ages—in their sixties and seventies—that a treatment or cure for ALS would be found. Today, they are their parents’ ages. But there are no effective treatments to stop the disease, and no cures. And one by one, the cousins are getting tested for the mutant gene. A few of them have tested positive, a few negative, and others just don’t want to know. So, Cheryl and her husband Mike Smith started a movement with one goal in mind: to raise as much awareness and as much money as possible to support research at ALS TDI. What she and her family did next would impact the pace of that research in a very significant way. Mike Smith is a third-generation hop farmer in Yakima, WA; his family has been growing hops since 1932. 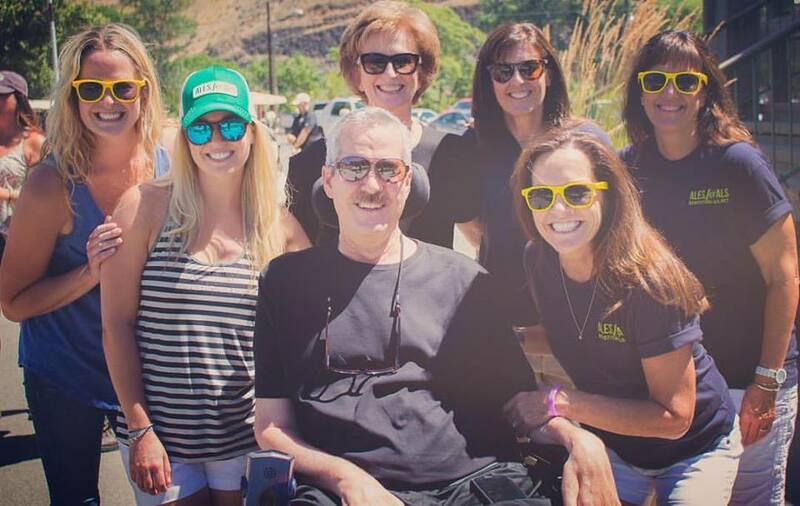 Cheryl and Mike made a decision to try and leverage their connections within the hop growing and brewing communities to help support their efforts to defeat ALS. So, in 2013 they piloted “Ales for ALS™,” a concept where participating brewers would be offered access to a proprietary hop blend, free of charge. In exchange, the brewers would brew special beers with these hops and then donate a portion of their beer sales to ALS TDI. Today, there are Ales for ALS™ participating brewers in nearly every state in the US. If you are a brewer or know a brewer who would like more information about getting involved in Ales for ALS™ in 2018, please email us at letstalk@als.net. Colette O'Neill joined ALS TDI as the Senior Director of Marketing, Communications and PR in April 2015. She has spent over fifteen years leading marketing and communications efforts at Boston area non-profits, as well as running her own practice in marketing strategy, design and production. This is her debut in the bio-medical space; she is humbled to work amongst a group of people at the Institute who are incredibly passionate about their work, and 100% dedicated to finding a cure for ALS. Originally from Ireland, Colette moved to Boston in 1999, and now lives on Boston's north shore with her family. She loves photography, people, contemporary art, film, biking and spontaneous adventures with her 2.5 year old son.